LOCATION.--Lat 41°59'05", long 76°30'04" referenced to North American Datum of 1983, Bradford County, PA, Hydrologic Unit 02050103, on left bank 0.2 mi upstream from Cayuta Creek, 0.4 mi upstream from bridge on East Lockhart Street at Sayre, Pa., 1 mi downstream from New York-Pennsylvania State line, and 2 mi southeast of Waverly. PERIOD OF RECORD.--February 1937 to March 1995, annual maximum only--1995-2000, October 2000 to current year. GAGE.--Water-stage recorder. 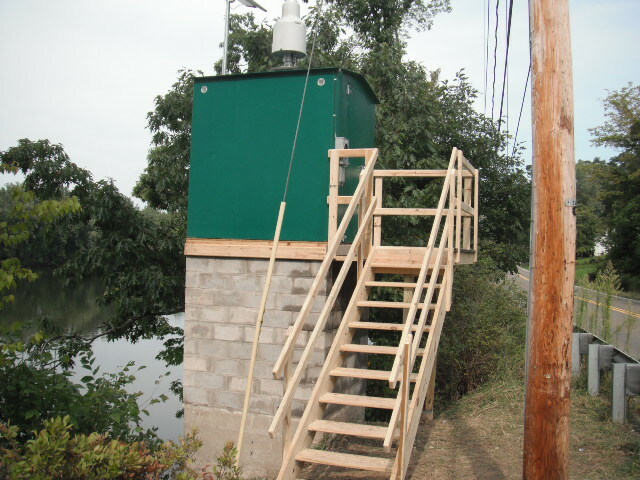 Datum of gage is 743.96 ft above NGVD of 1929 (levels by Corps of Engineers) and 743.43 above NAVD of 1988 (VERTCON). Prior to November 1939, at datum 1.00 ft higher. EXTREMES FOR PERIOD OF RECORD.--Maximum discharge, 167,000 ft³/s, Sept. 8, 2011, gage height 26.67 ft, from floodmark in gage house; minimum discharge, 224 ft³/s, Sept. 23, 1964. EXTREMES OUTSIDE PERIOD OF RECORD.--Flood in March 1936 reached a stage of about 21.4 ft, datum then in use, from flood profile, discharge, 128,000 ft³/s.